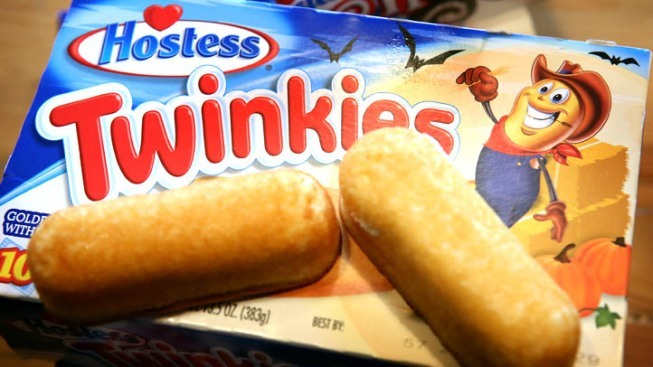 A Greenwich company is behind the plan to save Twinkies. Twinkies don't last forever, but they'll have more staying power than most people remember when they return to shelves next week. Hostess Brands LLC says the spongy yellow cakes will have a shelf life of 45 days when they start hitting shelves again July 15. That's nearly three weeks longer than the 26 days the previous owner had stated as the shelf life for Twinkies. A spokeswoman for Hostess, Hannah Arnold, says the change to extend the shelf life was actually made by the old company that went bankrupt, with the longer-lasting cakes first hitting shelves on Nov. 1 of last year. But the old company went out of business and stopped production just weeks after that, meaning the Twinkies most people are familiar with had the shorter lifespan. Arnold declined to say what changes were made to extend the shelf life, saying that it is proprietary information. The New York Post also reported last week that Hostess will start freezing some of its cakes to extend their shelf life. That means that Twinkies would be delivered to stores frozen so retailers can stamp their own expiration dates on the cakes. Arnold said in a statement that "a select number of retail customers" representing about 10 percent of its distribution made the request for frozen products. She declined to say which retailers requested the frozen Twinkies. Hostess shuttered its factories this past November, after years of management turmoil and a failure to reach a contract agreement with its second biggest union. Its brands were sold off in chunks to different buyers; Twinkies and other Hostess cakes were purchased by Apollo Global Management and Metropoulos & Co., which also owns Pabst Brewing Co.
As to whether the freezing would affect the taste, Arnold said in a statement that "any suggestion that Hostess is changing the integrity of the iconic snack cakes consumers have loved is completely untrue."